Mr. B.N. Reddy joined the Indian Foreign Service in 1993, and has served in Indian Missions in Indonesia (1995-98), Lao PDR (1998-2001), New York (Permanent Mission of India) (2005-2008), Malaysia (2008-2011) and Geneva (as the DPR in Permanent Mission of India) (2013-16). He has served in the Ministry of External Affairs in the Administration Division and subsequently as the Director/Joint Secretary to the External Affairs Minister. Mr. Reddy has learnt Bahasa Indonesia at the University of Indonesia (UI) during his posting to Indonesia in 1995. 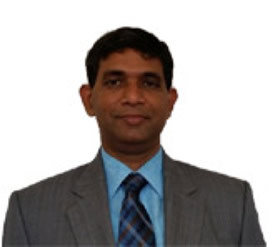 Mr. Reddy has Master’s Degree in Technology from IIT, Bombay and Bachelor’s Degree in Mechanical Engineering from Birla Institute of Technology and Science (BITS), Pilani. Prior to joining the Ministry of External Affairs, Mr. Reddy also served with TELCO (now Tata Motors) and also in the Indian Engineering Service (IES).